So I have just upgraded some of my dedicated theater components and now am thinking of upgrading the speakers. I Want everyone’s honest hands experience and opinions. Marantz 7704 7.2.4 atmos config. Dolby be does recommend that the surrounds be direct firing and the QS8's are not. Other than that i think what you have should be more than satisfying. If you only use it for theater purposes your sub has the bass covered so no real need for the HP version. I am putting together atmos right now and i will use my QS8's and switch out with M2's to see which i like better. I currently have 5.2.2 using Qs10 for side surround M22 as front on wall height, Mrx720 gives selection of on wall ceiling and module for Atmos Personally the Q is spectacular, much more effective than 7.2 was. Maybe I mean DTSX format though either way Atmos DTSX most have both now. It's pretty darn cool maybe even "better" with monopoles. Have yet to add my M3 back in my mix. Need to mount them in some way. If your happy with how the QS8's work in that position then that would be sound reasoning. 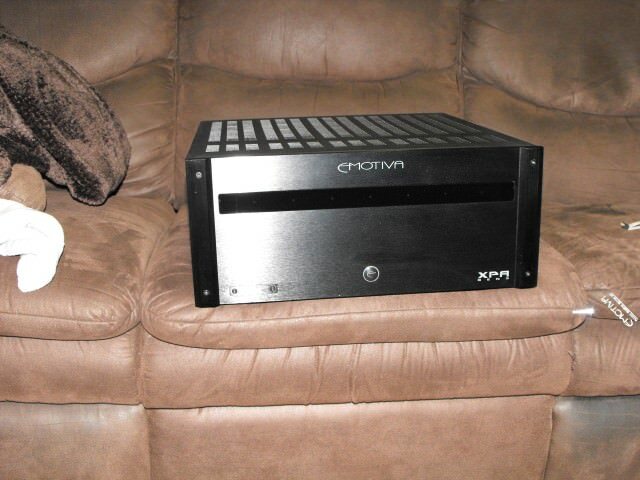 You will not waste any of the 300 watts your amp is putting out by using QS8s. You rarely use more than 1 watt at normal listening levels. Axiom speakers are pretty efficient, usually better than 90db at 1 watt at 1 meter. In order to use all 300 watts you would need massively inefficient speakers, or you could use your system as a sonic weapon. Choose your speaker based on sound quality. It would be very difficult to top your QS8s.